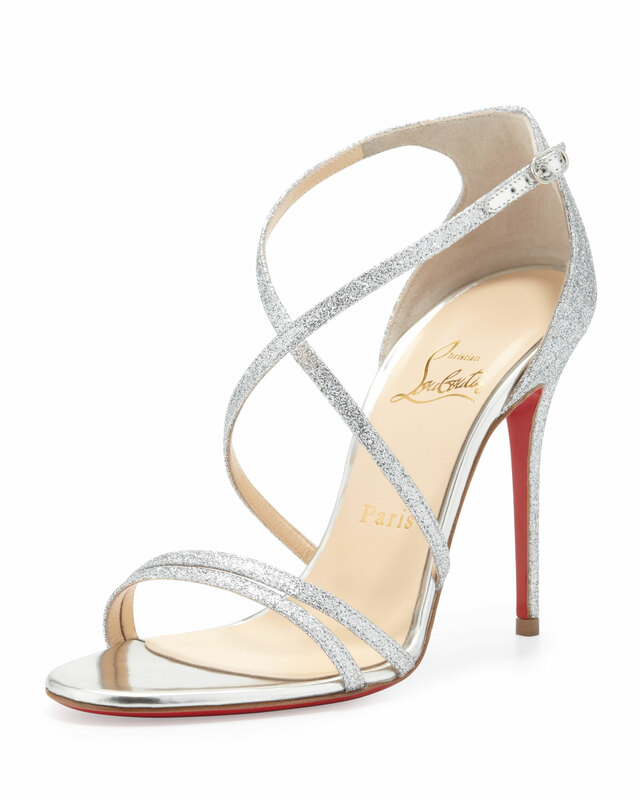 I don't know about anyone else, but for me if these were without the signature red sole then I would have presumed them to be a Jimmy Choo sandal. They are rather delicate and pretty and fit in very well alongside styles like Lance, and in a typical sparkling metallic finish that we have become accustomed to from The Choo. 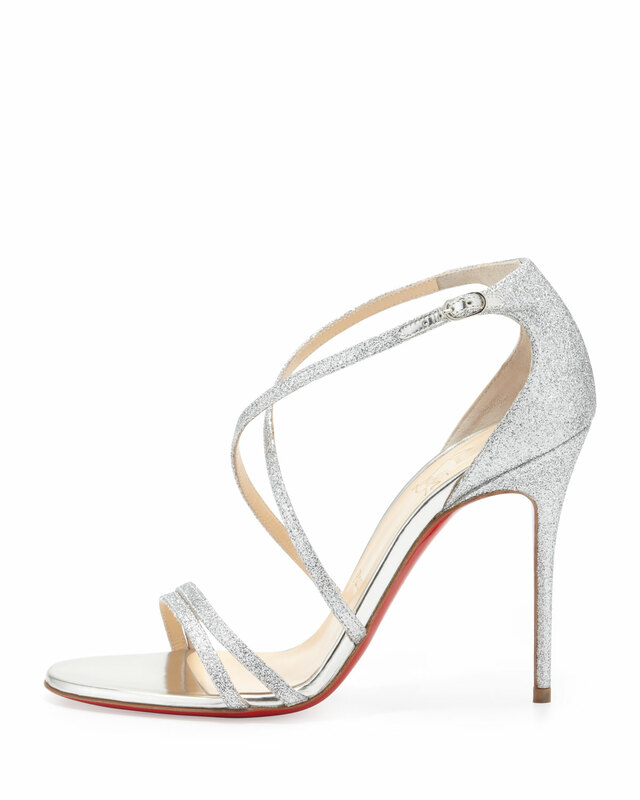 They are however Louboutins this time, and it's always a pleasure to see a Loubi style with a minimalist upper and utterly devoid of mixed media/studs/fuss. 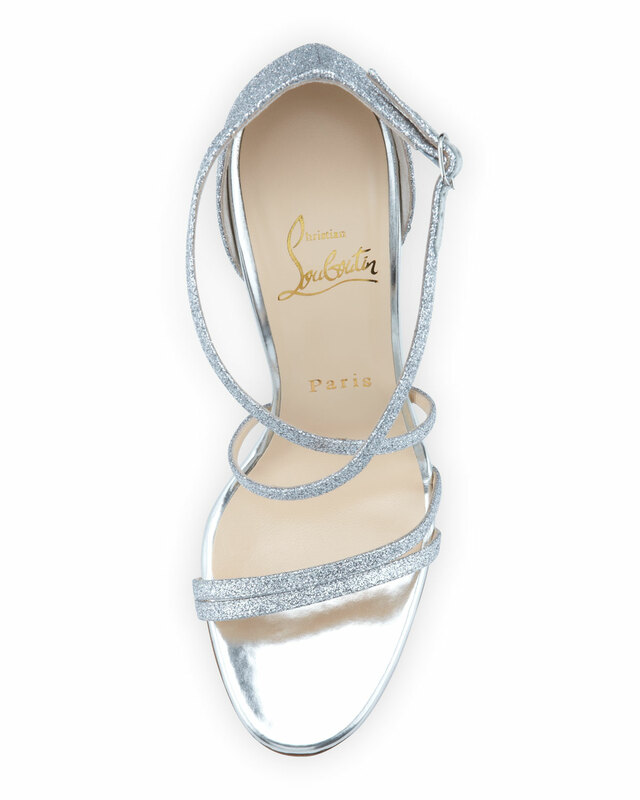 These are real head turning party shoes, and are sure to be much copied and emulated. The top down view is the clincher for me. These are utterly beautiful. I do need to own these sandals. Like, now (please).